Artists/curators/responsible parties of an exhibition are invited to respond to five short prompts. In turn, a representative of the St.Claire will view the exhibition and independently respond to the same five prompts. Both sets of “form answers” are published in tandem on the St.Claire website. 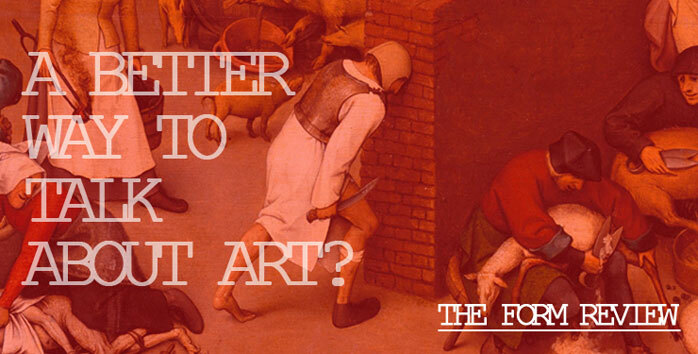 The Form Review is a simple attempt to increase dialogue within art journalism and highlight the subjectivity of a traditional exhibition review. It also seeks to establish an equitable exchange of time and energy between journalists and the art community. Like a great conversation, its better when both sides put in their two cents. If you are involved in an upcoming exhibition or event drop us a line at hark@the-st-claire.com with your Whos, Whats, Wheres, and Whens and we will send prompts for you to answer. This is an open invitation to the Philadelphia arts community. Our goal is to engage with anyone and everyone who wishes to participate.